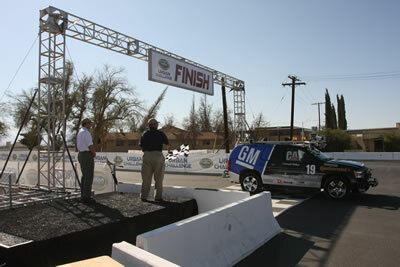 Three robotic vehicles managed to finish the complex course set up by DARPA: first to finish was Stanford University's VW Passat, named Junior. Next to finish was Carnegie Mellon's Chevy Tahoe, Boss. A few minutes later, Virginia Tech's Ford Escape hybrid Odin crossed the line.